When I was a senior in high school, I learned how to play Magic: The Gathering. 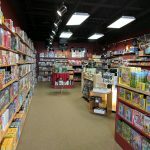 Even with a good group, after a while, you get tired of seeing a lot of the same decks and cards in games, so having a driver’s license and a means of transportation, a couple of us would go to other game shops near Anderson and New Castle to find new cards to trade for, and new games to play. 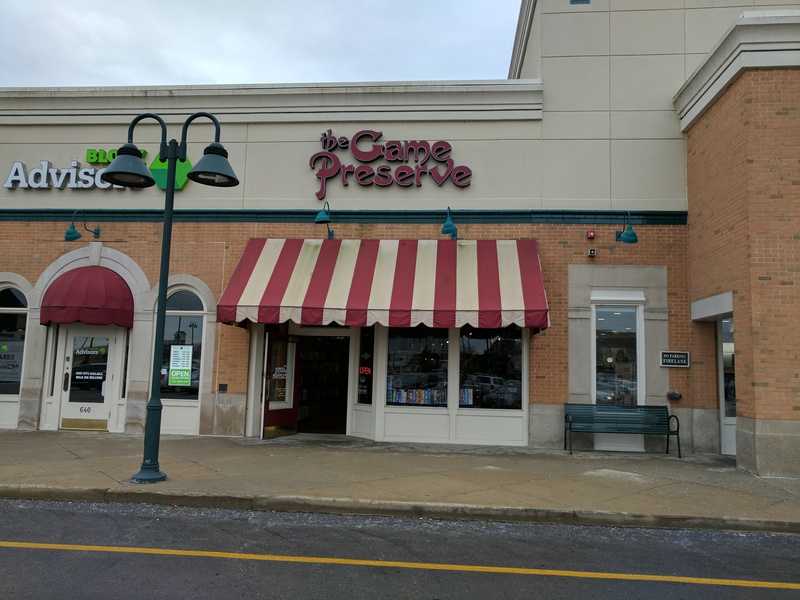 One of the common stores we’d hit would be the Game Preserve on the north side of Indianapolis, which at the time was located in the Fashion Mall at Keystone. As I got older, I would still pop in to find gaming books, dice, and even the occasional puzzle. When I moved back to Indiana in 2010, and started visiting shops for a young Geeking in Indiana, The Game Preserve was one of the first stores I visited. 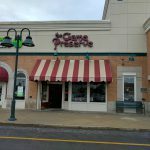 This time, though, they were no longer in the Fashion Mall, and had instead moved across 86th Street to corner of the Fashion Mall Commons shopping center. On that visit back in 2010, I commented on how they seemed to have more room, not only for stock but also for open/organized gaming. I visited once or twice after that review, but I hadn’t thought about any updates, until this past week when I was in the area, and realized how long it had been since I had visited, so I dropped back in to see how the shop was doing. The Game Preserve is a well-lit, open, and clean shop. They are not quite as large as their brethren in Greenwood, yet they still are a good size. 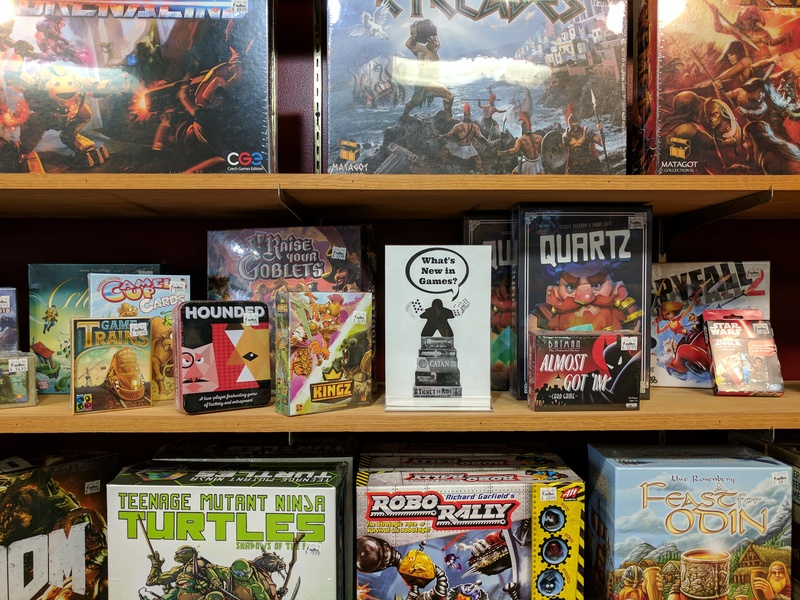 In a similar setup, you have a wall full of games and puzzles, displays full of collectible card games and miniatures games, and racks of role playing game guides. 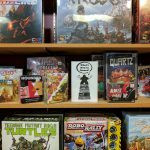 They have a back room that is set up for gaming, like X-Wing Miniatures on Tuesdays (at least, at the time of this writing) or Friday Night Magic. They have a board above the room that gives the gaming schedule, and they have the traditional cork board by the game room door with information on gaming sessions. 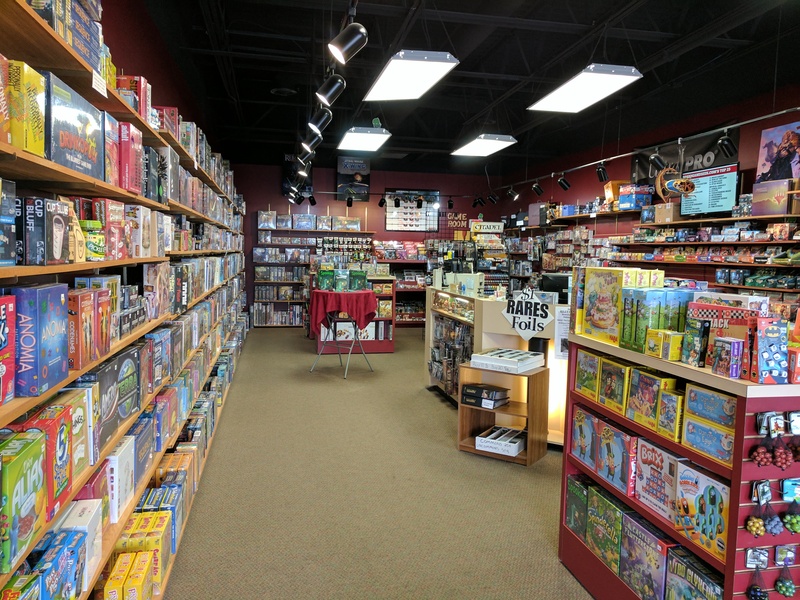 They had a large selection of board and table top games, plus your traditional selections of dice and Magic singles. They are very well stocked, and more than likely will have what you’re looking for. As far as service goes, I’d give it good grades if I were a secret shopper. I was greeted when I walked in by the lone worker, who asked if I need any help. When I told him I was just looking around, he let me know he was available for questions, and went back to work merchandising some shelves towards the front of the store. As I browsed around, I saw him great another customer, and answer his questions easily and get him squared away. As I was wrapping up, I approached him to discuss storage solutions for X-Wing and Armada miniatures, talked about the types of pluck foam they carried and which might work best, before I picked up a set of dice, asked to take some pictures, and wished him a good day. In this instance, I think I got a good feeling for the service offered, because he had no idea who I was (and really, my friends, why should he? ), and he wasn’t familiar with the blog when I asked him if I could take pictures, and gave him my explanatory spiel on why I was looking to take pictures. What is their parking situation? They are in a shopping center with a huge parking lot. When are they open? Monday through Saturday from 10:00 AM to 9:00 PM, Sunday from 12:00 PM to 6:00 PM. Just kidding on the phone number! Internet! Where can I find them online? You can visit the Game Preserve website, you can check out their store calendar site, you can find them on Facebook, and you can check out their Twitter Feed!